Jackie Chan holding the panda with Yao Xingtong, left, and Zhang Lanxin in Toronto. 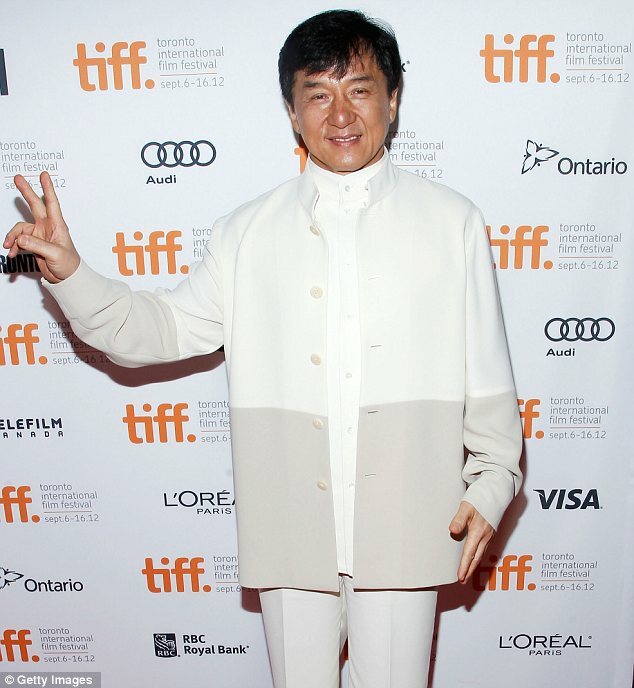 Jackie Chan took his stunt skills to the red carpet at the Toronto Film Festival helping Chinese star actress, Yao Xingtong, save her modesty by handing her a panda to cover the spectacle under her see-through sheer dress. The dress, which also had puffy sleeves left her chest on show for all to see, but lucky for her, Jackie, the 58-year-old actor was around to save the day with just a stuffed panda. The actress now holding the stuffed panda to her chest.